Minimum-invasive interventions, lower complications risks, accelerated healing. 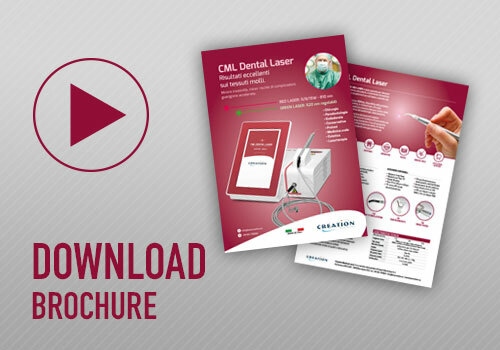 The CML RED LASER range has been designed to achieve unprecedented versatility, by combining maximum portabili- ty, ease of use and full control of the parameters. The 810nm infra-red emission, also available in the 5W, 8W and 15W continuous versions, is intended for several applications such as surgery, decontamination, aesthetics and bio-stimulation; it can also be used for product activation for bleaching. 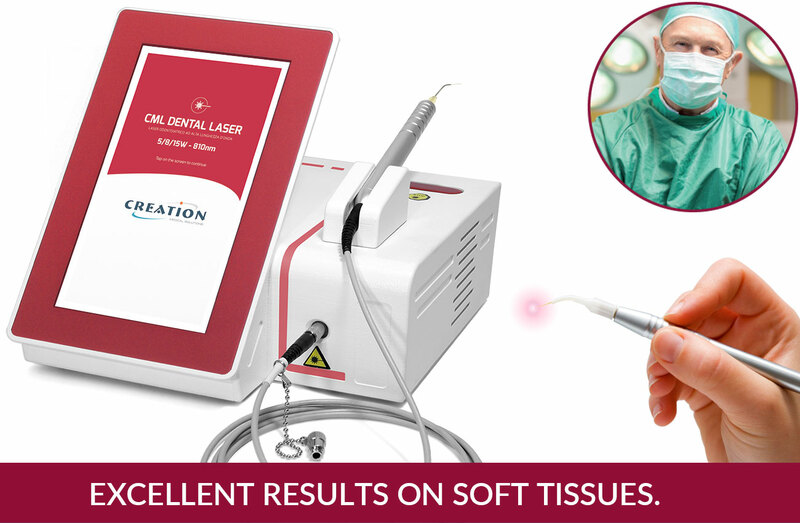 The penetration depth of the laser and the related absorption of the tissues allows for achieving precision of intervention, lowers the bleeding and reducing the use of anaesthetics. The hemostatic and decontaminant action allows to signi cantly mitigate complications compared to the conventional surgery methods. • Smart network/batteries power management. • Fast charging; energy saving stand-by function. • 7″ user-friendly touch screen displays that simplifies the selection of pre-set treatments and customisation of treatments. • Wireless and wired footswitch available. • Operation with gloves and with no pen. Wavelength: 810nm: for surgery and generic treatments.